Wine gifts and accessories with personality. Caddies and stoppers add a decorative touch. Ceramic and pewter. Handcrafted double champagne bucket. Pewter. Handmade in Italy. Handcrafted funnel with filter. Pewter. Handmade in Italy. 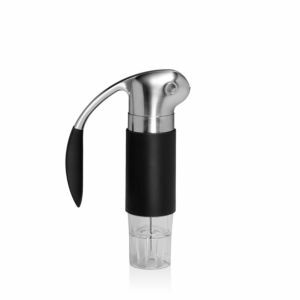 Wine System with premium Coravin capsules lets you pour wine without removing the cork so you can enjoy the rest of the bottle another day. Stainless steel, zinc, black ABS plastic, mixed polycarbonate, and fiberglass-reinforced nylon. 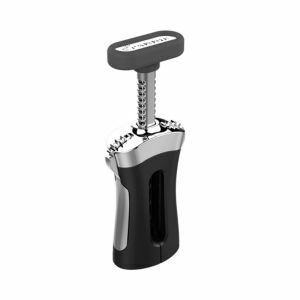 This smartly designed corkscrew features a nonstick spiral for cleanly penetrating the cork Nonleaded crystal bottle coaster. Made entirely from hand, each piece of William Yeoward Crystal draws its inspiration from antique crystal pieces originally made in England during the 18th and early 19th centuries. 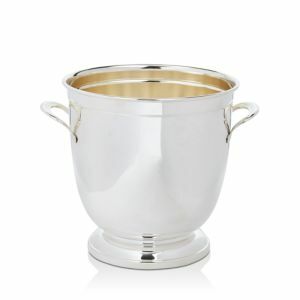 Refined and elegant, this classic ice bucket was made for entertaining Beverage party tub. Nickel-plated stainless steel and acacia wood. Handcrafted crystal champagne bucket. 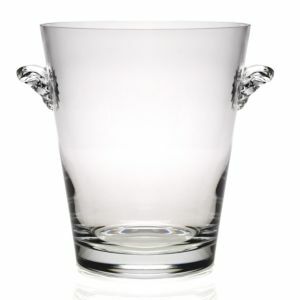 Beautifully handcrafted in Italy, this engravable ice bucket brings a classically sophisticated touch of style to the table. Pewter ice bucket with side handles. Made in Portugal. Lead-free glass champagne bucket. Not suitable for hot contents. 8.75"Dia. x 9"T. Dishwasher safe. Carafe made of glass, silicone, and stainless steel. 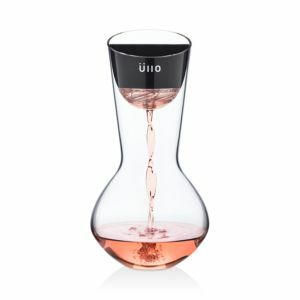 Enjoy the ideal flavor profile of your favorite chilled wines with this innovative decanter, offering half the air exposure of a traditional decanter for the ultimate purified wine experience. Handcrafted glass carafe. Holds 1 quart. 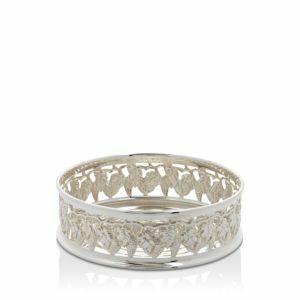 Bring classic sophistication to the table with this exquisitely handcrafted piece from Dogale, highlighted by a lustrous silver finish and elegant styling. Lead-crystal bottle coaster. Crystal bottle coaster. 8.25"Dia. x 5.5"T. Handcrafted bottle stand. Hand-cut crystal. Lead-crystal bottle coaster. A traditional crown marks this European-style pub glass as an official imperial pint, approximately 20 fluid ounces. Ideally sized for generous pours of pale ales and lagers, this pint's curved lip cultivates foamy heads. Temperature controlled beer dispenser. Designed for BrewArt 5L kegs. High-quality compressor eliminates need for constantly refilling CO2 tanks. Pub quality and customizable beer pull tab. Convenient beer level scale. Cooling indicator. Tall and slender, this glass is a perfect complement for lighter ales. The contoured shape preserves a frosty head, while maximizing aroma and enhancing taste. Description Whimsical polka dots make a fun addition to your barware collection with kate spade new york's Larabee Dot Collection beer glasses. Handcrafted beer tumbler. Made of lead crystal. Handcrafted lager glasses. Crystal. Hand wash. Handcrafted beer mugs. Crystal. Hand wash. Lenox's Monogrammed Block Letter Tuscany collection gives your bar and stemware a personalized touch. Sherry is back in style. From Andalucía, an area south of Seville, Spain, comes a fortified wine that dates back to the Roman Empire and that ranges from very dry to lusciously sweet, and food friendly. It is made from grapes you may be unfamiliar with: Palomino fino, Pedro Ximénez and moscatel. There are 2 main categories: fino is pale with fresh, nutty flavor is a fine aperitif or pairs with seafood; oloroso have more body and some citrus and can be matched with chicken; amontillado are in between. Pedro Ximénez is sweet like a tawny port and can hold up to chocolate or ice cream. In brief, sherry starts out like other wines with grapes gathered when they are fully ripe, which is usually the end of August, and officially starts with the Fiesta de la Vendiamia. What makes Sherry unique is that after the must (juice) has been stored in butts in bodegas for fermentation, it is fortified with a spirit (usually a local brandy) which kills the yeast. The butts are then taken outside and opened to allow flowering--the development of a natural yeast film on the surface. After 12 to 18 months the butts are taken back inside and added to a solera, a system of butts of a particular style used over a number of years to keep the quality consistent. All Sherries are blended. Due to the addition of the spirit and evaporation, sherries will be higher in alcohol than normal table wines, often 17-20%. Pedro Ximénez is treated differently. The sweet grapes are left to dry until almost raisin-like. The must is added to butts with brandy and go into their own soleras.